The actor was killed in a car crash with friend Roger Rodas. Actor Paul Walker, 40, who starred in The Fast and the Furious movie franchise, died in a car crash on Saturday, November 30. 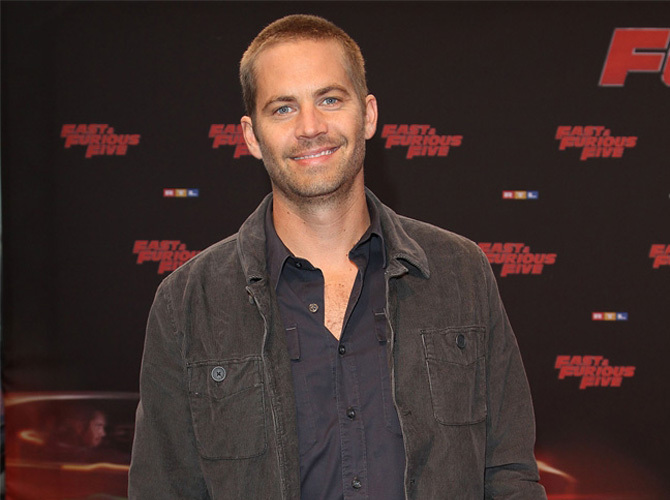 The actor passed away when the red Porsche Carrera GT, in which he was a passenger with Roger Rodas, collided with a tree during a car show in Santa Clarita, California. The car show was organized to raise funds for victims of Typhoon Yolanda in the Philippines and to help out the people hit by a tornado in Indiana. Jim Torp, who attended the event and knew Roger, told People.com that he did not think the duo was driving dangerously. He said: "Roger was definitely behind the wheel. Roger slowly drove it out—he didn't take off recklessly. There were children around, after all. They were only gone for five or 10 minutes and never came back." He added: "It was clear the car had hit two trees then finally hit a street lamp post. Parts of the car were strewn everywhere on the street, as far as 150 feet. I didn't see any skid marks. Where the car had crashed was on a long straightaway. How fast they were going, I don't know. A statement by the Los Angeles County sheriff's previously suggested "speed was a factor" in the accident but Lt. John Rush of the Santa Clarita Sheriff's Station has since clarified: "It looks like speed could've been a factor, but we haven't made an official determination for the cause of the accident, which will take some time." Paul is survived by his 15-year-old daughter, Meadow, who is said to be "very upset" and was present at the fundraiser.